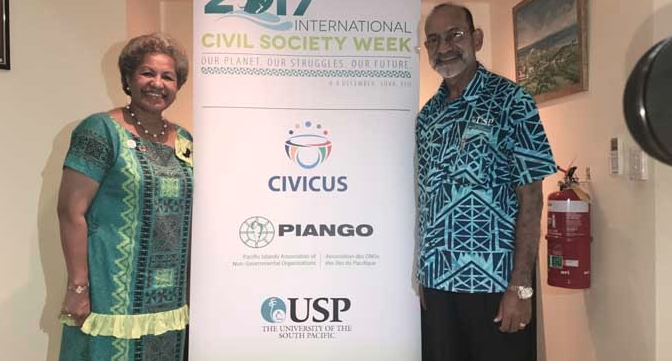 We are extremely excited here at Island Spirit that the International Civil Society meeting will be held here in Fiji, Suva to be exact, at the end of this year. This is the 14th occurrence of the event, which provides a platform for key civil society organisations and stakeholders to tackle the big theme of; ‘ Our Planet, Our Struggles, Our Future’. International Civil Society Week (ICSW) has been running for over 20 years. This year the Pacific Islands Association of Non-Governmental Organisations is co-hosting the event at the University of the South Pacific. This year the events will run 4th to the 8th of December. The Fijian government is keen to put the Pacific on the map for such international events, and the process of achieving the role of host was no easy feat, as Fiji went up against Asia to win the right. This is the latest in a string of achievements of this ilk, with Fiji co-chairing the Ocean’s Conference in New York earlier in the year, its role in COP23, as well as working with Sri Lanka on Sting Ray protection and to end trawling. The ICSW event in 2016 was held in Singapore, and was attended by over 800 delegates from over 100 countries. There is a membership fee to Civicus, the lead organisation of around $250, however this is waivered for all Fiji residents under 30 to help encourage the youth of organisations and businesses to get engaged in such initiatives. The week is hailed as a key global gathering for civil society to find innovative solutions to global problems which have a very real local impact. Something Fiji is very passionate about, as we are here at IS. The key themes are climate change and social justice, which we know really go hand in hand. So to explore the themes. Our Planet, is the portion of the event that focuses on biodiversity, and the threat it faces from climate change. This is also linked to how it is often the world’s most poor and vulnerable people who will suffer the consequences of doing nothing to protect our environment. It is all about innovating towards environmental sustainability and therefore will be closely aligned to the Paris Climate Agreement and Agenda. Our Struggles is more about governance. This third of the theme will look at the global crisis in democracy, and the struggle for equality and human rights around the globe. Social justice for all is the aim, and during these sessions delegates will explore trends in political and civic participation and access to those too. This is inextricably linked with Our Planet, as the people who are likely to suffer the effects of climate change, are also those who are suffering social injustice. Our Future is about the way organisations, community groups, and businesses can help facilitate change, and the response to these challenges to create a better future for humanity. It is about empowering and informing the next generation to build solidarity across a diverse range of movements and interests to foster positive change. These three themes are things we are very passionate about here at Island Spirit! View our upcoming Fiji 2018 volunteer trips here – help make a difference to the environment in the South Pacific!